Internationally renowned entrepreneur Sir Richard Branson has revealed how he uses a mentality akin to that of a small business start-up to inform many major business decisions. 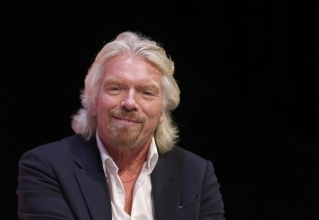 Addressing delegates at the Sage Summit in Chicago, Mr Branson said he believes a small business can “take on the goliaths” of its industry if it has a genuinely quality product. Mr Branson used the birth of his airline brand as an example of this – it was in competition with at least 18 other established carriers at the time of its launch, all of which have since disappeared because they weren’t delivering services in the way the market wanted. In fact, he said he was prompted to consider entering the airline business after the frustration of a cancelled flight to the Virgin Islands. He took all the passengers intended for that flight onto a private jet, and one of them said to him, “Sharpen up the service a bit, and you could be in the airline business”. Mr Branson also stressed the importance of leaders surrounding themselves with “great people”, and allowing these people to take ownership of their roles. He flagged links between morale and productivity – emphasising the need to pay attention to even the finest details that affect an employee's day, such as the food they are given, the comfort and look of their uniform, and the general feel of their working environment. Even today, Mr Branson said, when he gets on a Virgin flight he carries a notepad with him, and takes note of all feedback from staff and customers – highlighting the importance of morale at all levels of a business. He also cautioned business leaders to monitor the level of criticism they dish out to employees. In addition, as early as possible in the development of a business, Mr Branson said leaders should consider finding someone in management “as good, if not better than you” to take on day-to-day responsibilities, which frees up the time needed to focus on the big picture.